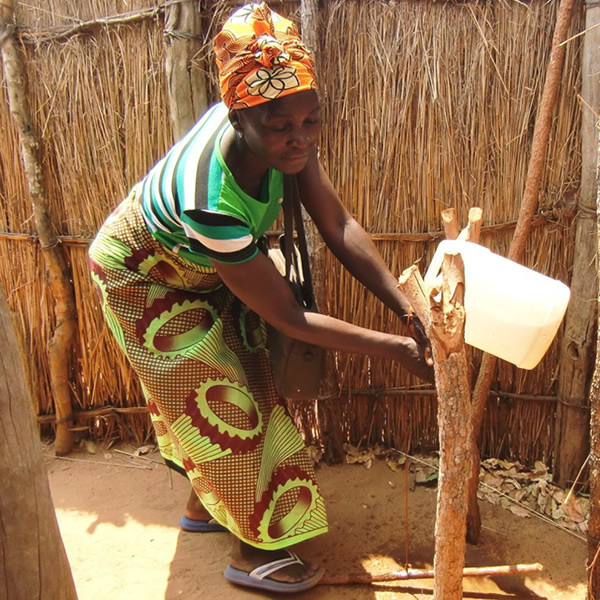 To work with the community in Mukunkiki* to reduce the prevalence of water-bourne disease by providing safe water, hygiene education and encouraging families to build latrines and tip-taps (simple hand washing structures, pictured). 30 volunteer Hygiene Promoters attended a course to learn how to teach hygiene education to each household in their village, in order to ensure they use safe water rather than contaminated water, and to build pit latrines and tip-taps. Safe water was made available by repairing two disused boreholes with pumps and four water filters were provided in outlying villages. Two water committees were formed and trained to ensure hygienic use and general maintenance of the water points and the need to collect a small fee for a sinking fund for repairs. Two Area Pump Menders were trained and provided with toolkits. Four artisans were trained to make sanplats (the concrete bases for latrines) which enable families to upgrade to more durable and hygienic latrines. The majority of the population have access to a sustainable supply of safe water. All 387 families now have latrines, in 2012 only 67 had latrines. There are now 40 durable latrines with sanplats in the village. 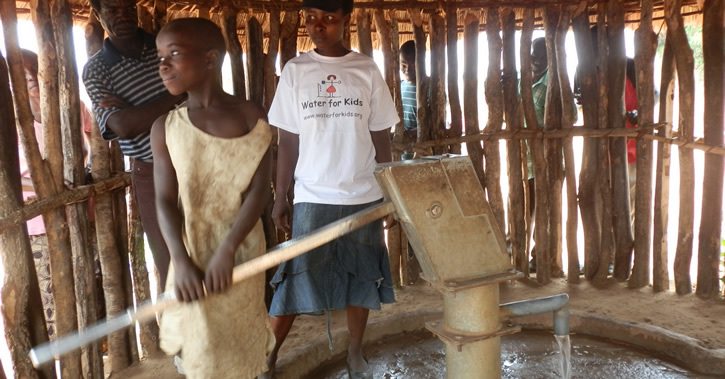 291(75%) families have tip-taps for hand-washing, in 2012 only 5 families had tip-taps. Mukunkiki is a remote area over 400 km from Lusaka. The community consists of 2,843 people in 387 households living in an area 12km wide. Before Water for Kids got involved in 2012, there was a high level of diarrhoea and other water borne disease in Mukunkiki. The only source of safe water was at the school, so most people had to use contaminated water from the stream. Only 67 households had latrines, so the others had to defecate in the bush, which caused contamination of the stream. In the driest months of the year, the stream completely dried up. This forced people to get water from the nearby river, thereby exposing them to Bilharzia which is very prevalent in the community. 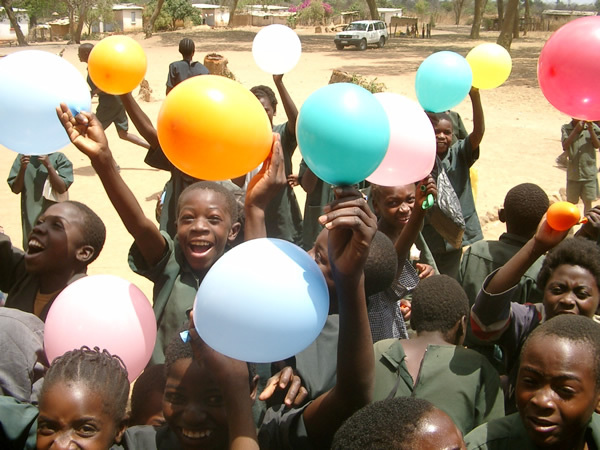 The project in Mukunkiki, Zambia was a ground-breaking project for WfK as it was more about health education and sanitation than providing water. 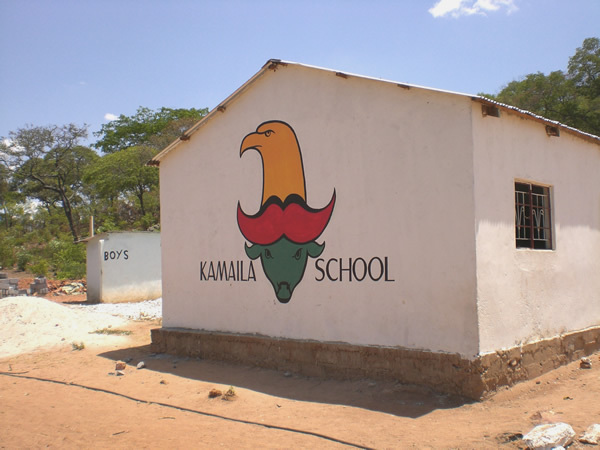 This project was run by Kaira Gunda of Zambia Keepers Foundation and overseen by the Zambia Institute of Environmental Health. The project aimed to reduce the spread of water borne diseases and its core was the training of thirty volunteers to become Hygiene Promoters. They learned about water borne diseases: what causes them, how they spread and how to prevent contamination through the use of latrines, safe water, hand washing and good refuse storage. The Hygiene Promoters then worked to sensitise and mobilise each household in Mukunkiki to use safe water and to build latrines, tip-taps for hand washing and refuse pits. 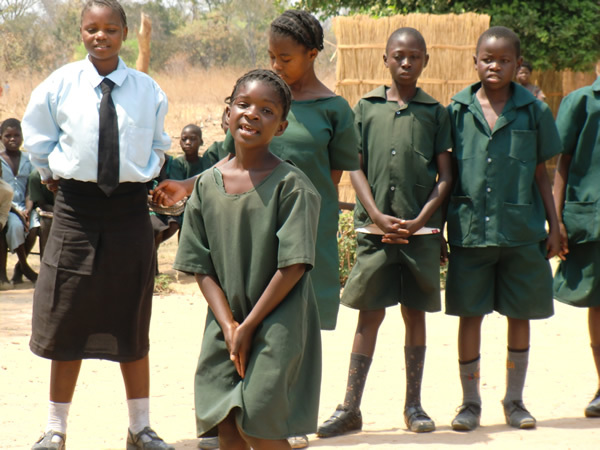 Members of the school health club were also trained on hygiene promotion and to spread the word to their fellow pupils; so they could reinforce the work of the Hygiene Promoters in the community. Providing water for every household was not feasible as they are dispersed over such a big area. However the project did include the refurbishment of two borehole water points. Water committees and pump minders were trained to keep the water points clean and to repair them if they break down. They will collect a small fee for the water to ensure repairs can be carried out to keep the water flowing. We were also able to provide water filters to four outlying villages. The local Environmental Health Technologist led all the training sessions and worked alongside the project manager. He is ensuring sustainability beyond the end of the project. By the end of 2014 all 387 families had a latrine, only 67 had a latrine in 2011; also 291 families had tip-taps for hand-washing, there were only 5 in 2011.